Easter is the Christian commemoration of the resurrection of Jesus as a religious holiday. Over the past year the spring equinox, the first full moon of the first Sunday after Easter. Church of Christ in the early years of the date of Easter, there have been controversial, causing momentary confusion, until 325 AD, the priests of the Church of the meeting before deciding on a day to celebrate the unification of the Easter. There are a lot of the traditional Easter celebration, Easter egg is a symbol of the most typical. In ancient times the eggs are often seen as more children and grandchildren and a symbol of resurrection, because it breeds new life. Later, Christians also gives new meaning to the egg that it is a symbol of the tomb of Jesus, the life of the future is born from it and get rid of. Easter eggs are often dyed red to represent the crucifixion of Jesus when the blood flow, but also a symbol of happiness after the resurrection. There is an ancient custom, the egg is cooked to the street children play. Their eggs from rolling down the hillside: Who broke the last egg, will win, all property of all of his eggs. White House to play this game every year, but is rolling eggs on the lawn only. Rabbit is a symbol of Easter. Now every Easter, the United States the total size of a candy shop to sell chocolate made with the Easter Bunny and eggs. These eggs and egg is almost small, big melon big surprise, the children eat them with relish. To the relatives and friends, but also be a good gift. the genesis of easter was rooted in pagan gods that were worshiped prior to canada's existence; but for canada, easter began and continues to be celebrated as a christian event. 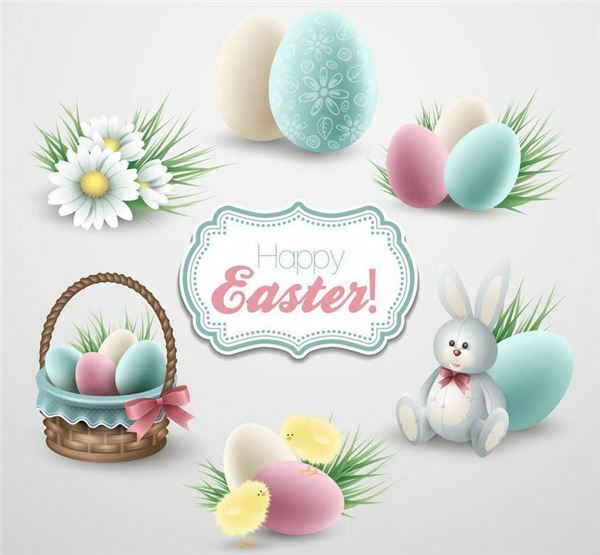 Easter eggs are special eggs that are often given to celebrate Easter or springtime.The egg is apagan symbol of the rebirth of the Earth in celebrations of spring and was adopted by early Christians as a symbol of the resurrection of Jesus. The Easter Bunny or Easter Hare is a character depicted as a rabbit bringing Easter eggs, who sometimes is depicted with clothes. In legend, the creature brings baskets filled with colored eggs, candy and sometimes also toys to the homes of children of Christmas, as they both bring gifts to children on the night before their respective holiday. Lily stands for the holiness and purity. Flowers blooming near the Easter Day seem to tell us the good news that Jesus has resurrected from the death. The Christian cross, seen as a representation of the instrument of the crucifixion of Jesus Christ, is the best-known religious symbol of Christianity. It is related to the crucifix (a cross that includes a usually three-dimensional representation of Jesus‘ body) and to the more general family of cross symbols. Easter bell can be heared everywhere throughout the year except Good Friday and 3 days afterwards, on the Easter Day, the bell can be reheared, symbolizing that Jesus has resurrected from the death.